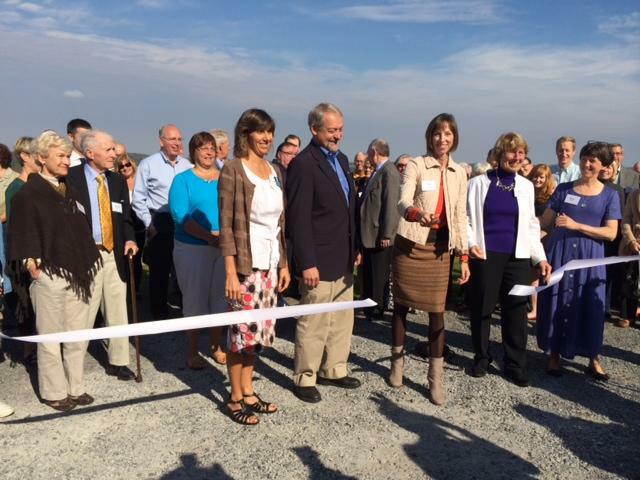 Officials took part in a ribbon-cutting celebration for the Mill Road Scenic Overlook. 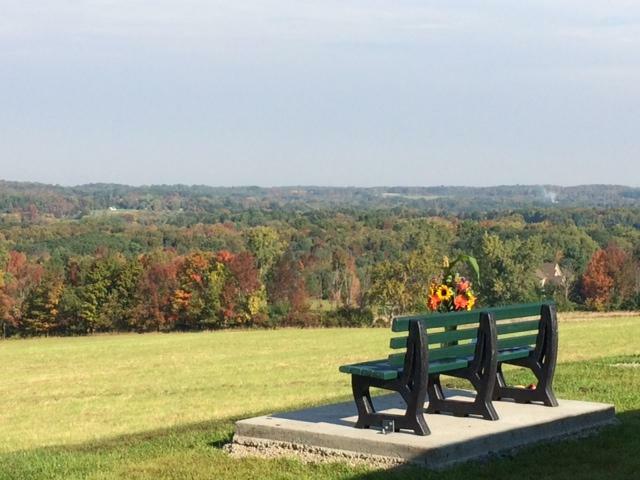 The long-awaited Mill Road Scenic Overlook between Sweet Road and Blakeley Road in the Town of Aurora was unveiled Tuesday. $650,000 in donations was raised to preserve the property for public enjoyment and wildlife. It took six years for the Friends of Mill Road to raise funds for the town to purchase the 60-acre property. The land now includes benches, parking spaces, and signage alerting passersby to the new overlook. Western New York Land Conservancy Executive Director Nancy Smith says the land was in danger being sold for residential development. 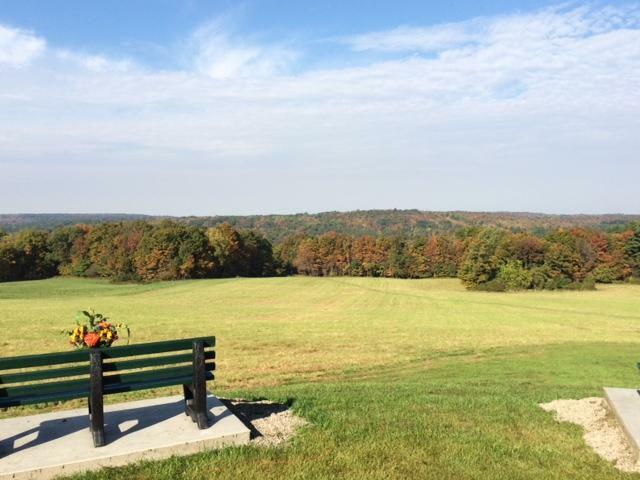 “From this spot you can see Knox Farm State Park. You can see across the Cazenovia Valley. You can see almost to Lake Erie in Buffalo. Those kinds of places are rare and disappearing. So, it would have been a row of houses if we hadn’t secured the funding and created this partnership,” said Smith. The property includes acres of dense forest, a large meadow on its slope and views across the Cazenovia Valley. The meadow is also home to the bobolink and eastern meadowlark. Smith says if the land wasn’t saved it would have displaced a large number of area wildlife. “When we first started working on this property it was the scenic view that attracted us, but the thing that we discovered that is also very important is the value for wildlife habitat. There’s a brand new study released called ‘The State of the Birds’ report that says those grassland nesting birds are on decline across the state and nation. So, this provides a home for that wildlife,” said Smith. Smith says visitors can now walk through paths in the meadow along Mill Road. She says finishing touches to the overlook, including a sign designating the overlook as part of the WNY Southtowns Scenic Byway will be completed by next spring. Information courtesy wnylc.org: The Mill Road Scenic Overlook received donations from Scott Bieler and Kathy Lasher, who contributed $100,000. Gerhard and Ellen Neumaier contributed $50,000. The project received an anonymous $50,000 donation, a $20,000 Community Foundation for Greater Buffalo grant, and a $75,000 John R. Oishei Foundation grant. Scott Bieler and Kathy Lasher gave again, making their total gift worth $200,000. In total, overlook received support from 59 local businesses and contributions of all sizes from 319 individual contributors.